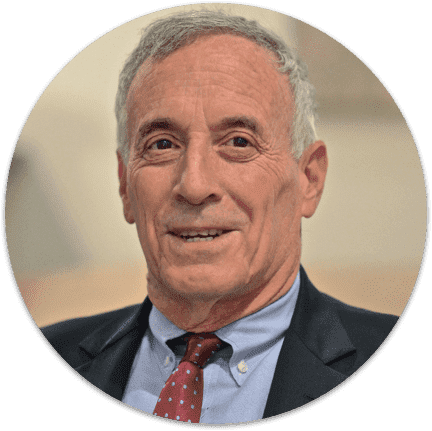 Laurence J. Kotlikoff is a William Fairfield Warren Professor and Professor of Economics at Boston University, a Fellow of the American Academy of Arts and Sciences, a Fellow of the Econometric Society, and a Research Associate of the National Bureau of Economic Research. Professor Kotlikoff received his B.A. in Economics from the University of Pennsylvania in 1973 and his Ph.D. in Economics from Harvard University in 1977. Kotlikoff is the Director of the Fiscal Analysis Center and a regular contributor to Forbes.com. I’m Laurence Kotlikoff, an economist at Boston University. I've spent much of my academic career studying personal financial behavior. In the course of this research, I realized three things. First: the conventional approach to personal financial planning was developed to sell financial products, not provide sound financial advice. Second: the conventional approach ignores decades of advances in computation methods. Third: economists have an obligation to use their research, tools and science to help people––young, middle aged, and old––with their lifetime financial decisions. The answer depends on a host of critical and interdependent factors––future wages, savings, retirement accounts, taxes, Social Security, medical costs, housing expenses, college expenses––you name it. Conventional financial planning asks you to guess how much you'll spend each year in retirement. But why force people to guess such an important variable when the answer can be calculated? And the correct calculation must incorporate what economists call consumption smoothing––our desire to neither starve today and splurge tomorrow nor do the opposite. We all seek a smooth living standard––a steady level of discretionary spending––spending over and above fixed expenses, like your mortgage or tax payments. But how do you calculate that smooth level of discretionary spending? That's where your data and our powerful computer algorithms come in. You tell our software about your current and future wages, your retirement accounts, your housing expense, etc. and it calculates what you can spend, not just this year, but throughout the rest of your life. This is what economists call life-cycle personal financial planning. I founded my company, Economic Security Planning, Inc., in 1993 to provide economics-based life-cycle personal financial planning. Over the years we've refined our Economic Security Computation Engine to eliminate the guesswork and compute instantly how much you can spend on an ongoing basis. This includes figuring out each future year's Social Security benefits, federal and state income taxes, Medicare Part B premiums, etc. 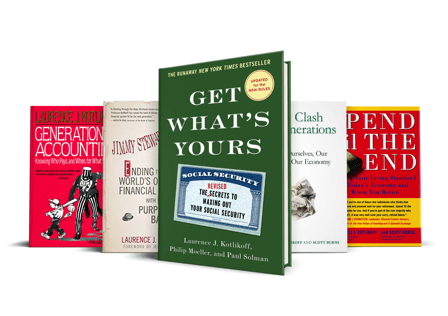 In reviewing our first generation, ESPlanner (Economic Security Planner) tool, the Washington Post proclaimed, "If you demand the deepest and most powerful financial planning engine, look no further." MaxiFi Planner is the latest, very user-friendly version of our tool. It not only smooths your living standard. It can also raise your living standard by finding ways to increase your lifetime Social Security benefits, lower your lifetime taxes, and make other smart financial moves. Most personal financial planning software is focused on people about to retire. MaxiFi Planner can help you make smart financial moves at any age and stage. It can answer questions you may think are too complex for any financial tool to handle. Take switching jobs. Job A may pay considerably more now, but have less wage-growth potential. It may also have a less generous 401(k) plan and an earlier likely retirement age. Job B pays a steady, but moderate wage, comes with a better 401(k), and more secure employment. Which job will let you spend at a higher level over time? MaxiFi Planner can show you, taking full account of all salary, 401(k), retirement age, tax, Social Security, and other likely differences. How about going back to school, moving states, taking a second job, having more children, moving out of your parent’s house, buying a vacation home, paying for private school, retiring early, etc.? Each choice comes with either a reward or a price––higher or lower fixed and discretionary spending. Unless you see how these decisions impact your total spending and sustainable living standard how can you decide? MaxiFi Planner, as well as our desktop program, ESPlanner, are the only tools on the market that can provide this critical information. I've spent decades with colleagues in my company creating our truly revolutionary and life-altering software tools. Tens of thousands of individuals and financial planners with no economics background have found these tools easy to use and understand. Give MaxiFi Planner a try. It will change your financial future for the better.